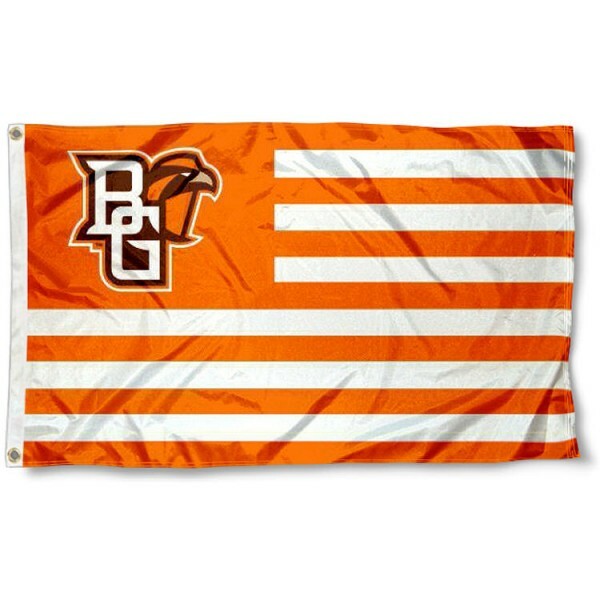 Our Bowling Green Falcons Nation Flag measures 3x5 feet, has quadruple stitched fly-ends, is constructed of durable polyester, and has a canvas side header with metal grommets to attach to your flagpole. The Officially Licensed NCAA logos are screen printed into our Bowling Green Falcons Nation Flag and are colorfast and resist fading. This flag is viewable from both sides (opposite side is a reverse image). Fly your Bowling Green Falcons Nation Flag with our tailgate flagpole or 6' aluminum flagpole and adjustable flag bracket.